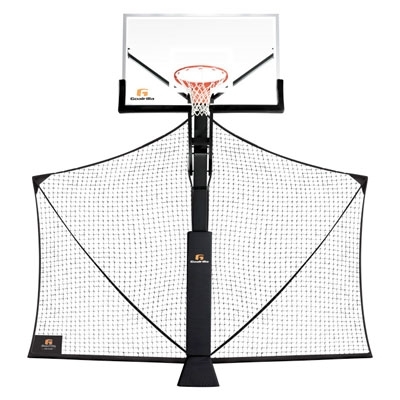 Quick and easy install on any Goalrilla Basketball System with a 5"x5", 5.5"x5.5", 6"x6" or 6"x 8" pole. Maximize play time - keeps the ball on the court. Increased safety - prevents loose balls from rolling into the street. Rapid Storage - quickly and easily folds into a compact storage position when not in use.